SuperEcho, Techno / House / Trance Sample from Rob Papen. 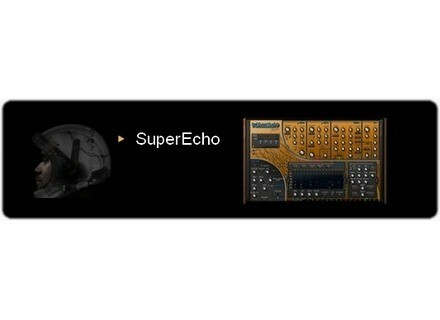 Rob Papen has released SuperEcho, a collection of patches by Antonio Sage and Bad Boy Bill for the SubBoomBass virtual instrument plug-in for PC and Mac. It contains 127 contemporary presets. SuperEcho is available to purchase for 15 EUR (incl. VAT) / $18 USD (excl. VAT). Sentient FX Monolith v0.82 Beta Sentientfx has released a beta demo version of Monolith, the new guitar-driven synthesizer VSTi plug-in for Windows. QuikQuak Pitchwheel v4 QuikQuak has released an update for Pitchwheel to Version 4.0. SoulviaSound REDD M SoulviaSound has released REDD M, a Hybrid synth for Native Instruments' Maschine.